Good afternoon! It's Monday, which means we're back with three new, gorgeous cards for you to create. 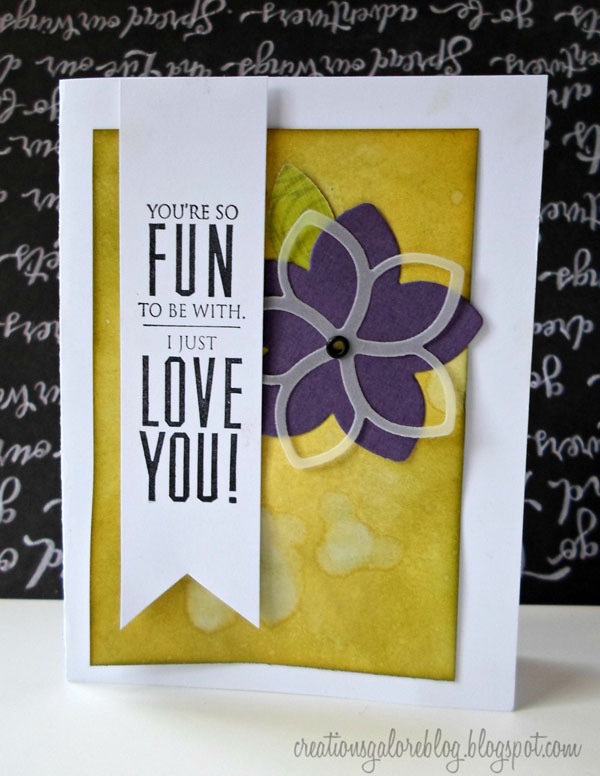 Each card is only $2 and includes all the tools and materials needed to create it. Just bring along your own adhesive. This is perfect for beginner to advanced card makers. It's self paced with step-by-step instructions, someone is on hand to demonstrate if needed, and it always includes new products and techniques for everyone to try! This week's cards will be available Monday, August 12th through Saturday, August 17th. 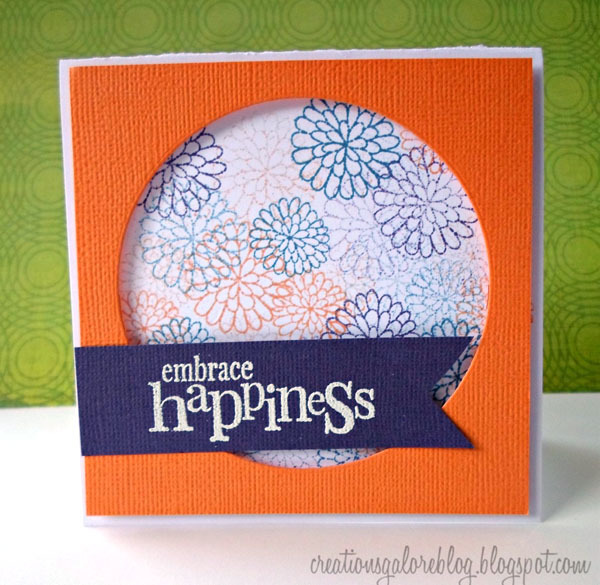 SUPPLIES Cardstock: Paper Cut, American Crafts. Vellum: Paper Cut. Patterned Paper: We R Memory Keepers. Stamps: Penny Black Inc. Inks: Distress Inks (Mustard Seed, Shabby Shutters, Peeled Paint), StazOn (Jet Black). Die: QuicKutz. Eyelet: Gary M. Burlin. Choose between two different styles. SUPPLIES Cardstock: American Crafts, Paper Cut. Watercolor Paper: Paper Cut. 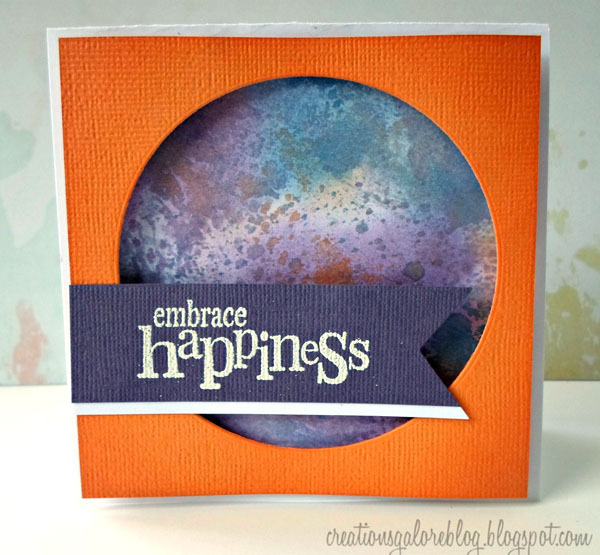 Stamps: Penny Black Inc. Inks: Distress Inks (Dried Marigold, Dusty Concord, Faded Jeans), VersaMark Watermark. Embossing Powder: Ranger (Seafoam White). SUPPLIES Cardstock, Watercolor Paper: Paper Cut. Patterned Paper: We R Memory Keepers. 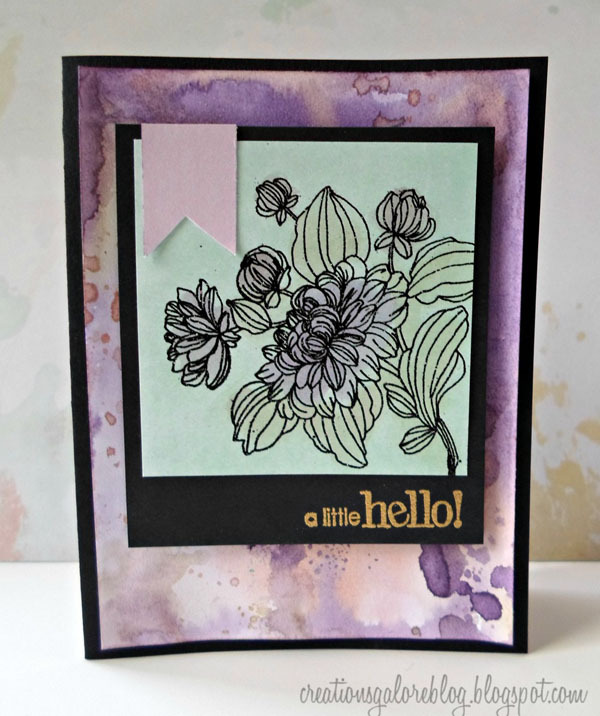 Stamps: Penny Black Inc. Inks: Distress Inks (Old Paper, Dusty Concord, Tattered Rose), VersaMark Watermark. Embossing Powder: Ranger (Black, Gold).